Real time inventory tracking lets you see your stock levels and inventory usage from anywhere using any device. So every usage, stock change or return is logged and easily tracked. Workiz’s inventory management logs every action made to your inventory. This includes returns, moving items from one inventory storage location to another and canceling items. 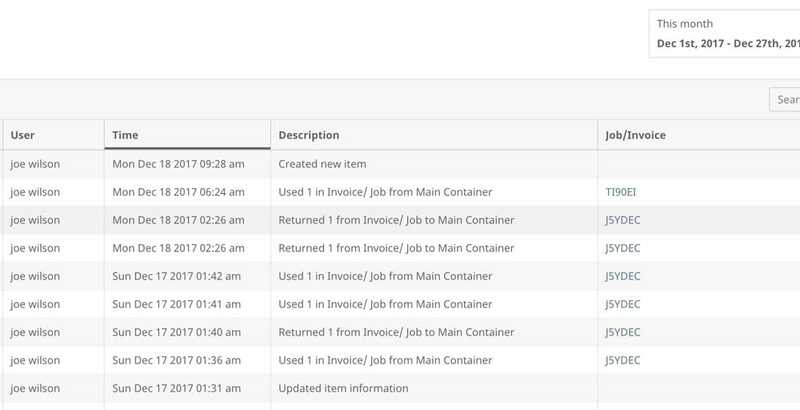 Usage reports provide you with a list of used items across jobs and users. This allows you to see how many items were sold, for what amount, and according to a specific time range. You can also filter and run searches for your most sold and most profitable items.